CNR 6767 arrived at WRJ just in time to be turned around on the milk train. The first three cars are CV milk can cars. I just finished a modeling piece on CV milk cars and this photo was an unused extra that I thought I would share with you. My first mile-marker was post 1,000 on Jan 2, 2016, today marks another milestone on my WRD blog, 2,000 posts. Hard to believe Peter, Don and I had that much to share will you and I am really surprised that I still have so much more material to post. In the terms of prototype photos I have well over 1,000 photos that all are worth you having a look at and I have yet to scan many of my own views from the last 40 years. These are my go-to base coatings for plastic kit rehabs...more on this in an upcoming CARM issue. 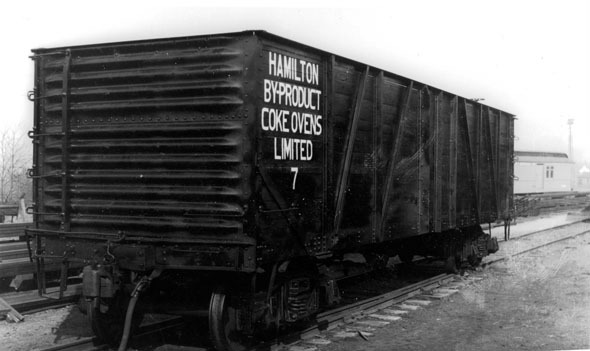 An ex-TH&B car seen in Hamilton, Ont. during the 1940's from the Sirman collection, Bob Bowes copy. 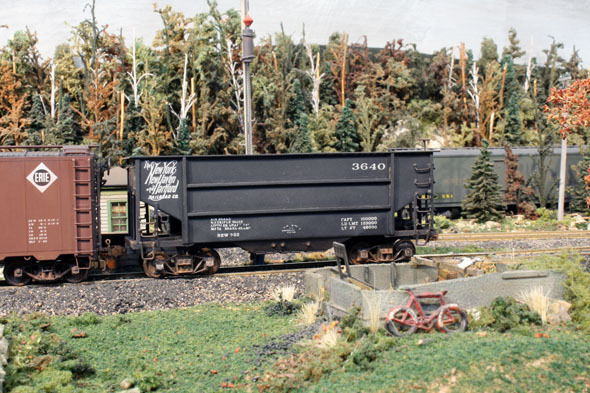 This CV boxcar was built by Bob Hannah in the late 1980's or early 1990's. Bob gave it to me a decade or so ago. I decided to add a bit of weathering to the roof so it fits in better to my contemporary fleet. The two PanPastels used are seen here. 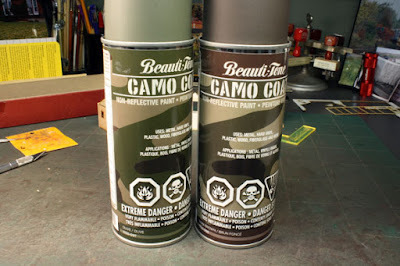 I also used a couple of acrylics tube paint and Bragdon rusts. Here is a close-up of the Bragdon rust being applied prior to the PanPastels. My friend Terry a retired CN conductor recieved a group of photos from our old boss Train Master Norm Davis who lives across the street from Terry. During his time in London he was required to photograph all CN structures located in his territory. I now have these and will scan and post them from time to time. 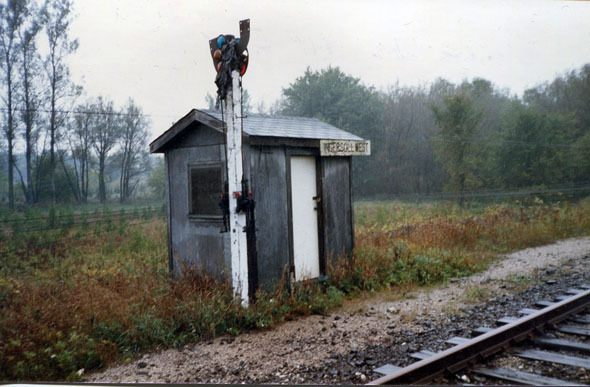 On Oct. 3 1986 at the west end of Ingersoll, Ontario was a small shanty called Ingersoll West. Located on the Dundas Sub., an ABS signal territory that is two tracks with a crossover located there during the train order era. An operator would be required when trains are being single tracked and crossed over. Years later at times a brakeman would be called as a switch tender on an as-needed basis. 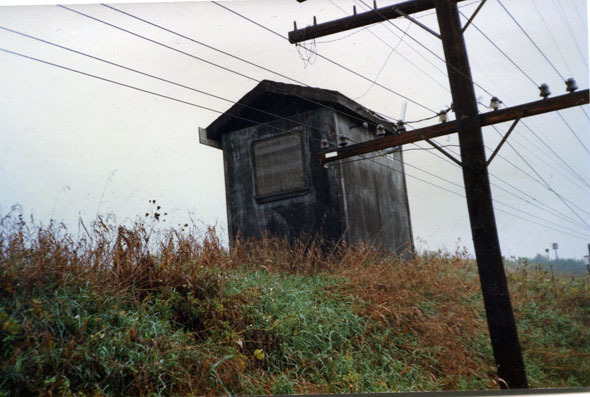 The back side of the West Ingersoll train order office. A neat little weathered plywood structure worth considering as a model. For my harbor front scene I am working on a few structures this winter. I normally would have this one finished in a week but with parent issues it has been in the works since early December. In this view the fish sign is already applied. 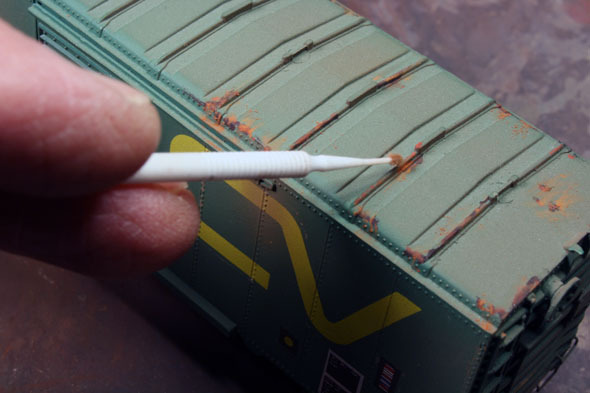 The edges require a red looking edging that one is required to paint on. 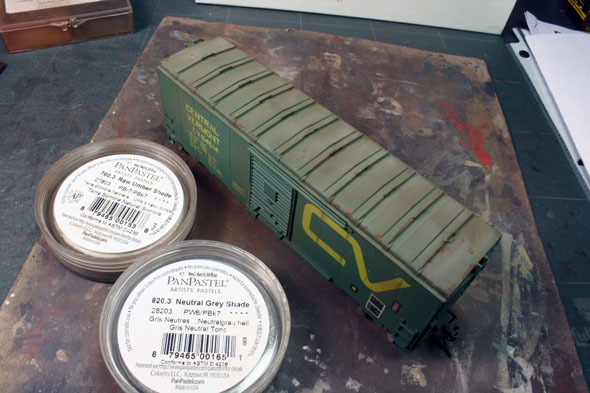 I went another route using Bragdon powders in a colouring that is close to red applied with a micro brush. 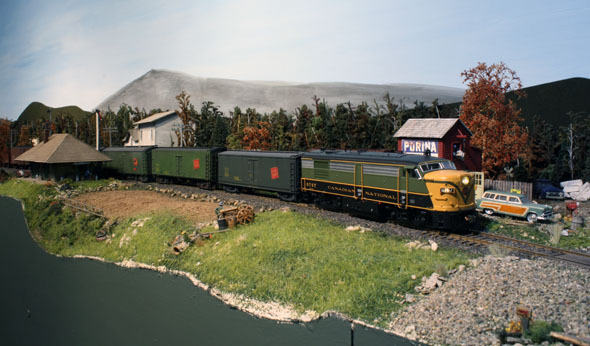 More on this structure will be on my Modeling Maine in Narrow Gauge blog found on the sidebar. One of my recent finds a F&C hopper got an over spray of Floquil grimy black followed by a bit of Bragdon powders. The interior got some Woodland Scenic coal with a dusting of PanPastel coarse coal. Congratulations on 2,000 posts ! Wow, this was a varied and wide-ranging post to celebrate #2,000, guys! Like work, blogging expands to fill the time available. You have far surpassed Trackside Treasure, what with my low-volume posting schedule of once per week! I continue to enjoy the mix of model and prototype. Thanks for sharing! Congratulations on 2,000 George. Still looking with interest for a picture I requested of your work a little bit ago. Looked with interest at your photo of Ingersoll West. Several years ago I worked that station on a very cold and windy winter's day. Can't say I have fond memories of that shift. First, I almost burned the place down lighting the propane barn heater they used to keep it warm. I finished that shift with the biggest headache ever because of the propane fumes. Leave the door open freeze your front off and roast your backend. 2000 Posts...Wow! Congratulations George, well done, and thanks for all the information and inspiration. 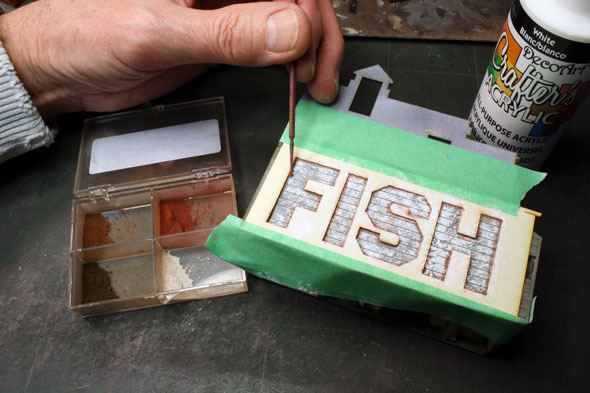 I had never thought of using a stencil to paint signs. Will have to see if my daughter can make some on her cricket.